Partial List of Money-Saving Gems. * AVOID Inept CPA's (Most Are!) - Who give wrong costly advice. How to select the right one - save time & money! * How To Safely Go Back And Recoup Past Paid Taxes - Found Money! * Totally Avoid Being a Dealer > Cut Your Taxes by 50% or More! * Use The 1031 Exchange To Totally Avoid Paying Capital Gains and Recapture Taxes When Property Is Sold. * How To Avoid The 45/180 Day Exchange Deadlines... So You Do Not Rush Into A Bad Deal! * Reap Tax-Free Wealth with Self-Directed IRA'S. How To Have Checkbook Control, Protect Your IRA And Save Substantially In Custodian Fees And More. * Tax Impact of Seller Financing - Benefits To Attain, Traps To Avoid. Versus Doing a 1031 Exchange. 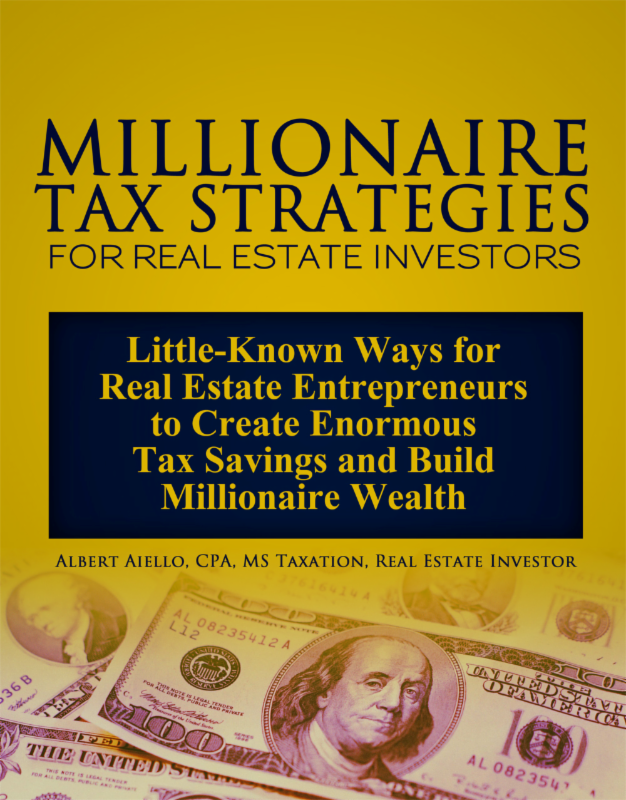 Millionaire Tax Strategies For Real Estate Investors list price is $199. Through exclusive arrangements with the author, it is being made available for a limited time to MrLandlord.com readers and visitors. $49.95. 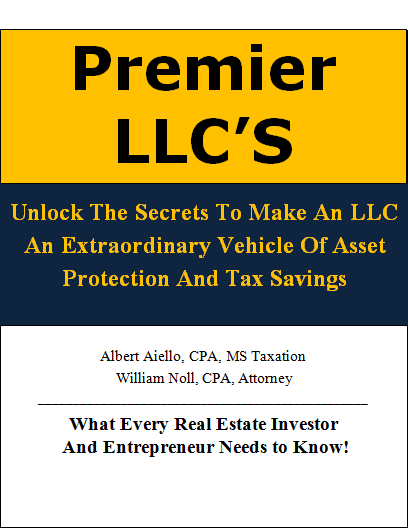 PREMIER LLC's - What Every Real Estate Investor & Entrepreneur Needs to Know!